What was scheduled to be a last minute overnight business trip to New Jersey area to visit a few clients, turned into 4 days and 3 nights. 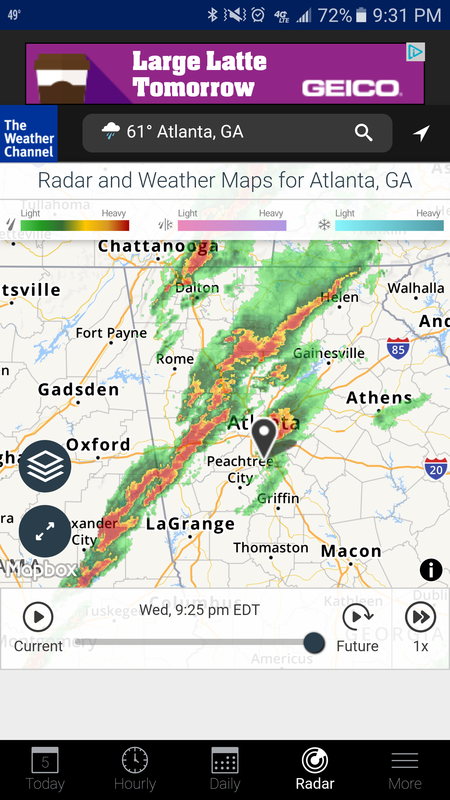 I was scheduled to fly back to Atlanta Wednesday afternoon but there were severe thunderstorms and tornadoes in Georgia causing over 300 Delta flights to be cancelled, including 3 I tried to get on Wednesday afternoon/night. I understand the safety issues of flying into weather, what has me and probably a thousand other upset is once they knew issues were happening, get crews and planes added to extra shifts along the same routes. I was lucky and got out Friday morning but when I arrived at Atlanta airport there were still lots of people who looked like they’re were camping between concourses. The lines for ticket assistance had to be 100 meters long full of people in the B concourse. I can only imagine the other stories that are out there way worse than mine. Granted I needed to get back home to my pregnant wife with our toddler to help out but I was able to get a room at nearby hotel to continue to work remotely, but I was under the impression I would be on a flight out Thursday but not sure why it was cancelled. Reminder, I only packed for 1 night, so I was starting to need fresh clothes! After getting back to Atlanta, when passing the baggage claim, this was the scene. 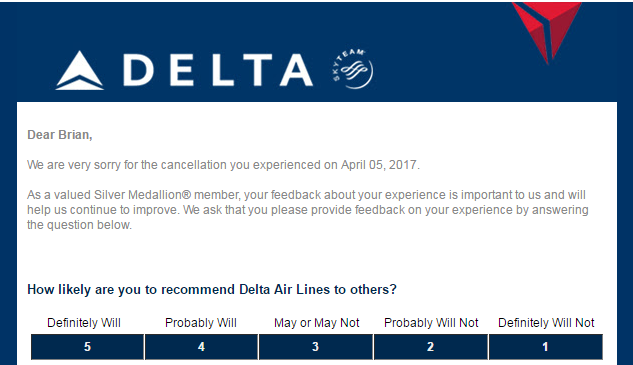 This morning when I woke up, I received an email from Delta asking about my cancellation experience, you can just guess how I and many other who receives this email respond.